"Be sincere: it is enough to be sincere to paint well. Be naif. Paint what you see without thinking about it." What good, infallible devices of a rigorous exactitude have they sought to manufacture in the academies! In his poor brain was fixed as an extraordinary and desirable thing, anatomical complexity as mechanical joinery! Drawing is sticking things together. And those fine fellows who think that that resembles Ingres! I would not be surprised if secretly he believed himself to have gone beyond Ingres. As regards naturalism, certainly! He takes photographs. They're still around, those little painters. They are today’s masters. From the enthusiasm of the romantics, the frequenting of Italian museums, the obligatory admiration of the Masters, they have retained a vague memory, for ever incomprehensible, of some of the Masters' motifs, resulting in a deformed version of their aesthetic. Delacroix used to say that he would gladly pass his time trying to confer some sort of harmony on cheap Stations of the Cross (how plentiful they are in our churches, alas!). Messrs so-and-so of the Institut are busy wrecking the harmony of the paintings of the Renaissance. But enough remains of the splendour they are ruining to arouse the unthinking admiration of the masses, still instinctively drawn to that beauty. The deformation of Dutch genre painting. A literary mind, in abundance (symbols of the glory of Napoleon, which seem to our eyes to be grotesque but which, in the eyes of the majority, approach the sublime). Very witty, expressive heads: the naif gambler, the clever one, the heedless, the ironic. Most of all the skill of the execution, which brings forth unreserved exclamations of "That is great." 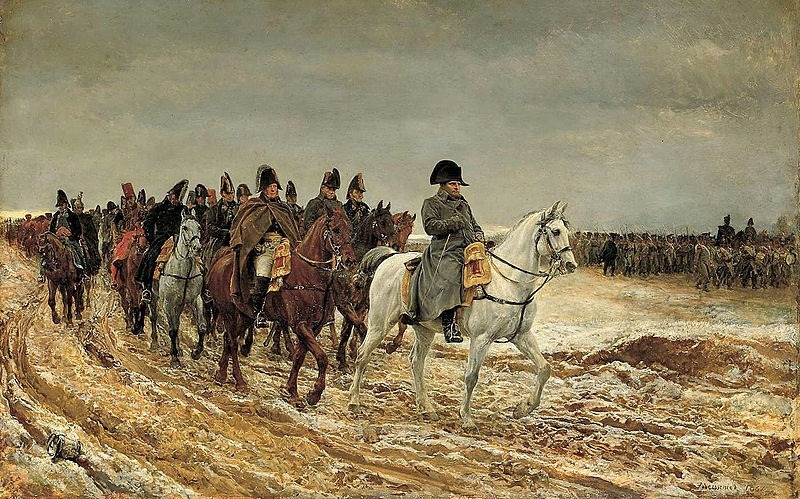 (7) Jean-Louis Ernest Meissonier (1815 - 1891). As Denis indicates he specialised both in large scale history paintings mainly concerned with the career of Napoleon and small scale domestic scenes influenced by eg the seventeenth century Dutch painter, Gabriel Metsu. He was probably the most commercially successful painter of his age. Oh this demoralising vulgarisation of art, this facile dilettantism! they love using technical terms, persuading themselves in the end that they are exercising their judgment! But in the end the pupils of those masters reach pure naturalism: that is the end: there is nothing beyond, one cannot descend any further, and certainly we are now beginning to climb up again. 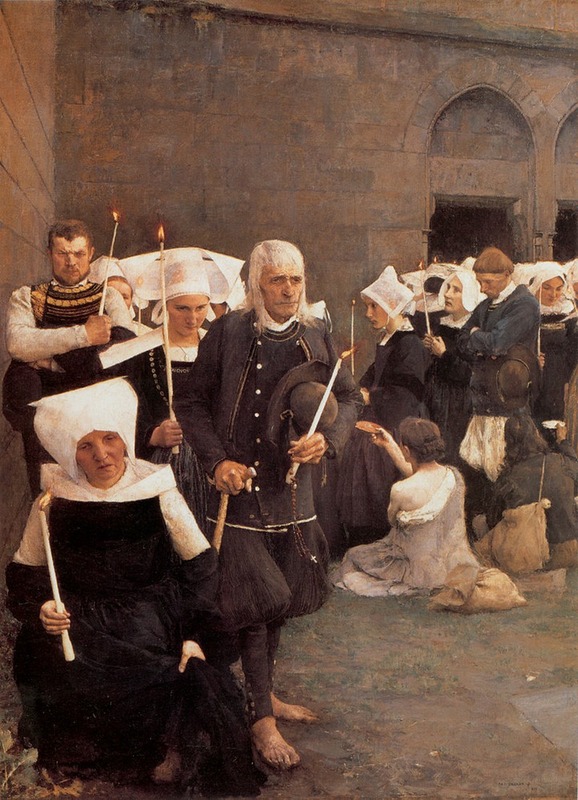 Dagnan (8), who began with the Wedding at the Photographer’s, with the other Country Wedding and the Vaccination of the Children, arrives at his Virgin and the Pardon, at that study of Breton women that was seen two years ago at the exhibition in the Mirliton (9), and again at the unnoticed pastel at the Salon du Champ-de-Mars. Visibly, Dagnan, who is a painter, is returning to tradition. (8) Pascal-Adolphe-Jean Dagnan-Bouveret (1852 - 1929). Denis may have been disappointed in him. His Breton paintings remain as purely 'naturalist' as his earlier work, though he did have a 'mystical' side to him (Lament of Orpheus, 1876, Last Supper, 1895-6 and Christ at Emmaus, 1896-7). (9) I assume this refers to the cabaret in Paris founded by Aristide Bruant, much frequented by the artists and still famous through the posters of Toulouse Lautrec. To one of the young neo-traditionalists (10), then a student, one of the modern masters said, in relation to a woman he had painted, very white, on whom the light shimmered like a rainbow - and it was this colour that interested him, he had been looking for it for a week - that "it is not nature, you would not sleep with a woman like that!" How many things could be said, from this point of view, about the morality of the work of art! Compare the symbols of the Phoenicians and of the Hindus, with pornographic photography: the nudes of Puvis de Chavannes, of Michelangelo, Rodin’s scenes of passion - with what? 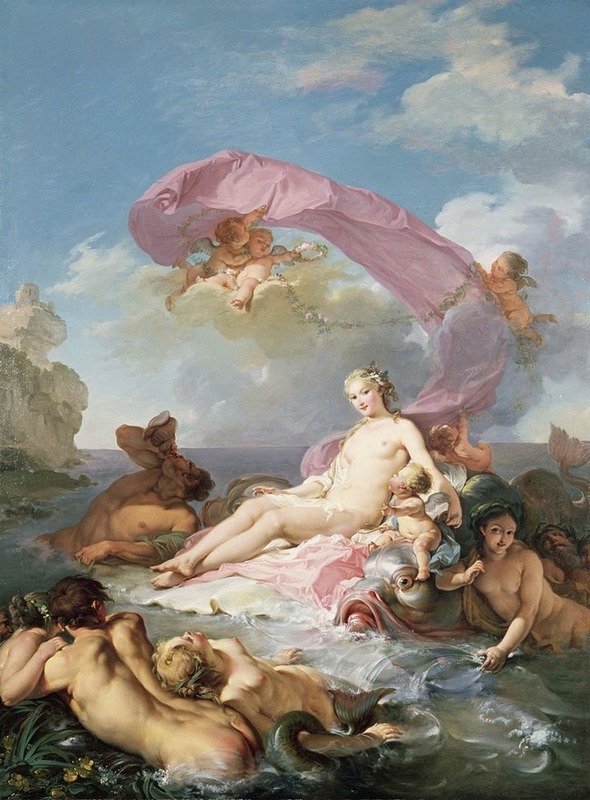 With analytical works, their trompe-l’oeil, their titillation that entertains the eyes of candid young persons and old libertines: all the Piscinae, the Temptations, the Andromedas, the Models, the Études of the "young Academy" in these last fifteen salons! But have you noticed the first signs of a return to beautiful things among the Impressionists? Manet as we know is on the great path. All of them, and all their imitators are beginning to research corners of nature with ever more special effects of colour - effects of sunlight, lanterns in the night, oriental scenes, the "aurora borealis." And they spoil the particular flavour of the sensation that first inspired them, composed uniquely of that special colour, by their disdain for composition, and their concern to make it look like nature! Most of all the irritating obsession, burnt into our souls, to give it an appearance of modelling in three dimensions. "Art, that is when things turn round" (11) - another definition by someone who has got it badly wrong. Wasn't it Paul Gauguin who gave us this ingenious and as yet unpublished history of modelling? (11) 'L'art, c'est quand ça tourne.' Since the subject here is modelling I think Chipp probably has it right when he gives 'when things appear rounded.' However, Robert Delaunay later used the phrase 'ça tourne' to describe his own art. The meaning was completely different - he was referring to the essentially circular movement of his Suns and Moons done just before the 1914 war but I can't help feeling he had Denis's phrase in mind and since I regard Delaunay's work as the realisation of what was of value in the theories of Maurice Denis I would be anxious to maintain the connection. In the beginning a pure arabesque, as little trompe-l’oeil as possible. A wall is empty: fill it with a form made up of symmetrically arranged marks, harmonious in their colour (stained glass windows, Egyptian paintings, Byzantine mosaics, Japanese kakemonos (12)). (12) Scroll paintings or calligraphy designed to be hung on walls. Painted bas-relief comes next (metopes of Greek temples, medieval churches). Then the ornamental trompe-l’oeil as it was attempted in antiquity is taken up by the fifteenth century, replacing the painted bas-relief by painting that imitates bas-relief modelling, but which still preserves the early idea of decoration (the Primitives; let us recall how Michelangelo, a sculptor, decorates the vault of the Sistine Chapel). The perfection of that modelling - imitating sculpture in the round - which takes us from the first Academies of the Carracci to our own decadence. Art, that is when 'things turn round'. We know that French sculpture of the earliest centuries (such as the portal of Vézelay) is derived from Byzantine illuminations, not from reliefs. That explains the way in which the folds of togas and of large areas of clothing are used to create simple arabesques and to fill empty spaces - folds drawn following an imagination of a very high aesthetic order cut into the stone, not corresponding to any possibility of draping the robe round the figure concerned. Paul Sérusier explained these researches with reference to the ancient Athenians, Tanagra figurines, the Victories of the temple of Nike Apteros, all Greek statuary, all the Middle Ages, all the Renaissance. He further added that the desire to fill an empty space, a space which to a normal eye appears insipid, the same desire which had invented in clothing folds that are highly improbable, had, in painting, in relation to flesh, produced modelling. He cited a bambino by Raphael: "curves moving in and out (13), constituting an empty space rich in possibilities, filled by a gentle modelling that sustains the form." (13) 'rondeurs alternes-internes' I can't help feeling this should read 'externes-internes'. Oh, the multitudes of great empty skies with a meaningless grey sea! And the line of the horizon, an imperceptible detail in which literary critics have managed to see so much! - but which amounts to no more than "parallel lines on a neutral field." Imagine the golden white forms on blue done by the painters of the Renaissance (Veronese’s clouds, Angelico’s seraphim). Think of those glorious distant vistas made up of cobalt and emerald! Passing in front of a photographer's shop. Eighteenth century things, sketches by Boucher and his imitators - furniture, tapestries, architecture. Now to what aesthetic formulas might our own houses and painting be reduced, the rue Pierre-Charon, or that of the Parc Monceau, paintings by J.-P. Laurens, Delort and Friant, the statues we find in all our public spaces and the incredible juxtaposition of exotic styles from every age. Taraval (14) is a great man: it looks good on the wall, with the organisation of the panelling , the colours of the wallpaper, the shapes of the furniture. It does not rise very high, not high at all, but at least it has a certain rhythm to it! (14) Hugues Taraval, 1729-1785. Rococo paintings designed for the elaborately furnished interiors of the period. But where could you put the Agrippina of M. Rixens (15), the St. Denis of M. Bonnat (16)? And it is the sheer quantity of them that is troubling, the great mass of exhibitors at all the salons. Think on how admirable were even the mediocrities of the eighteenth century, the unremarked portraits of our great-grandfathers, the most obscure painted overmantel in the provincial bourgeois salons of our ancestors! (15) Jean-André Rixens (1846 - 1925) specialised, in his earlier days at least, in classical scenes - Death of Messalina, Death of Cleopatra, Caesar's corpse. The Death of Agrippina is in the Musée des Beaux-Arts in Béziers. (16) Léon Joseph Florentin Bonnat (1833 - 1922). Portrait painter who also specialised in historical and religious painting. His embarrassingly realistic Martyrdom of St Denis is in the Pantheon in Paris. 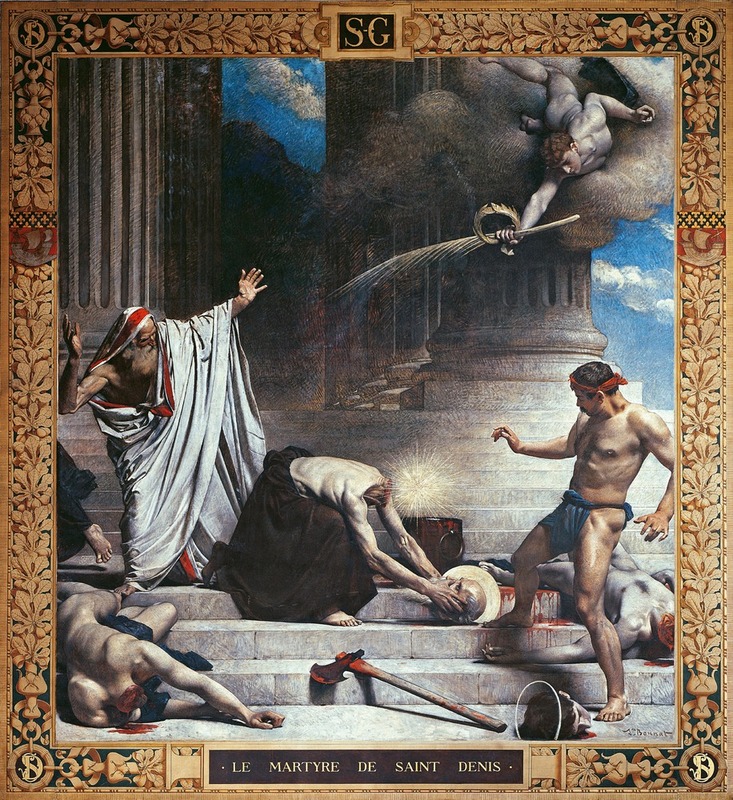 The Martyrdom of St. Denis, by Léon-Joseph-Florentin Bonnat, c. 1885.